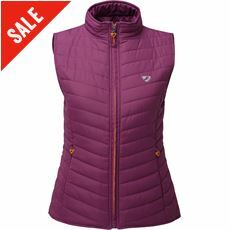 Our range of women's gilets always prove popular throughout the year. A gilet works as a great midlayer for insulation, or you may them useful as a stylish outer layer during cooler months. Our ladies down gilets will keep the body warm, while giving your arms great freedom of motion. If women are looking for hard-wearing, long lasting outerwear that is going to keep them warm when they are exploring the great outdoors then GO Outdoors is the place to look. We stock a vast array of women’s gilets, all of which are designed to keep out the elements and keep women warm, no matter what conditions they might be experiencing. North Ridge Regatta, Rab and Berghaus are just a few of the top names stocked at GO Outdoors, all of which are available at amazing prices that consumers will love. 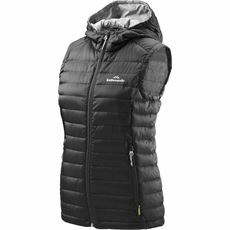 Why not check out the women’s gilets available at GO Outdoors now and see if there is something to suit your needs?